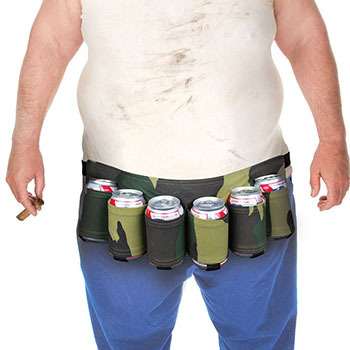 I covered the single-beer holster last month. Here’s one that holds six cans instead of a single bottle. I’m not sure whether the dirty white t-shirt is better or worse than the polo-and-dad-jeans of the last one.